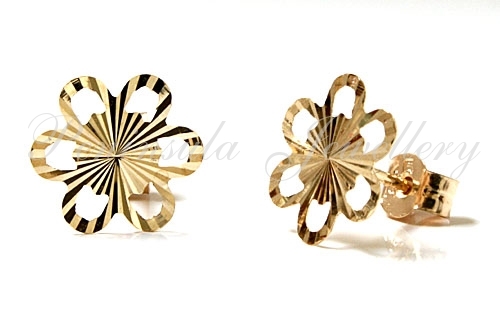 Lightweight 9ct gold diamond cut daisy shaped studs with butterfly backs and standard length posts. Dimensions: 9mm diameter. Made in England. Presented in a luxury gift box – Great Gift!! 9ct Gold Blue Topaz Round Drop Pendant and chain.